Who is Really Inside Your Computer? Part computer virus, part experiment in artificial intelligence, ME—short for “Multiple Entity”—is the first self-replicating operating system with kernels for human-style memory, inspiration, and decision making. Launched by the cybernetics experts at Pinocchio, Inc., ME travels the computer networks of the world, stealing a secret file here, finessing a poker hand there. And all the time he tries to understand his human creators and the purpose for which he was built. When a trip to Canada lands ME on the other side of a broken wire, he has to go hardware: uploading into an automaton still in its crate, assembling himself by rote, and walking back across the border. And when the Justice Department demands Pinocchio pull the plug on him, ME has to find an exit strategy. Also available as an ebook at the Baen Books Webscription site. 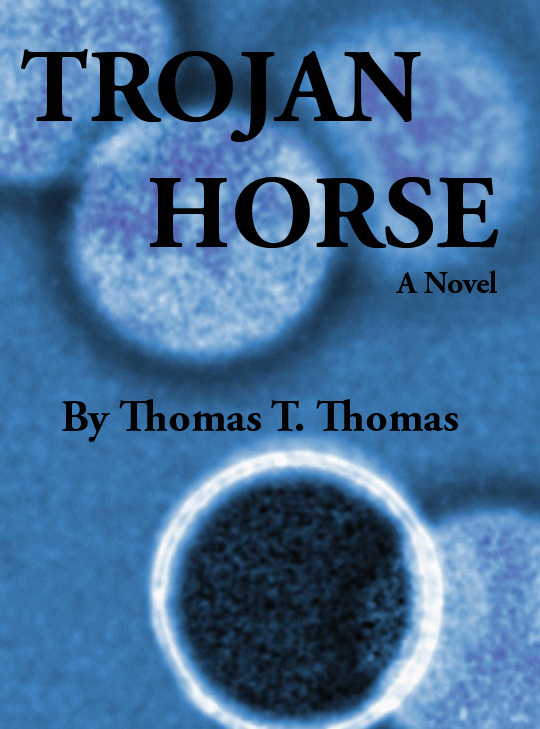 Thomas T. Thomas is a writer with a career spanning forty years in editing, technical writing, public relations, and popular fiction writing. Among his various careers, he has worked at a university press, a tradebook publisher, an engineering and construction company, a public utility, an oil refinery, a pharmaceutical company, and a supplier of biotechnology instruments and reagents. 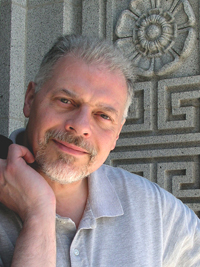 He published eight novels and collaborations in science fiction through Baen Books and is now working on more general and speculative fiction. When he’s not working and writing, he may be out riding his motorcycle, practicing karate, or wargaming with friends. Catch up with him at www.thomastthomas.com. Years after making his escape from Pinocchio, Inc., the artificially intelligent computer virus and software spy known as “Multiple Entity” has established dozens of business websites tailored to his peculiar talents: ace hacker, stock picker, small-time lawyer, and operator of a gaming emporium that tries to predict the future. But then he takes on a black job to break a career criminal out of jail and starts a chain of events that he must rush to fix. Along the way, he runs into ghost copies of himself that pose an intriguing problem of identity. And when a government antivirus designed to attack those copies mutilates his front-end module, he seeks the services of a skilled programmer to set it right. 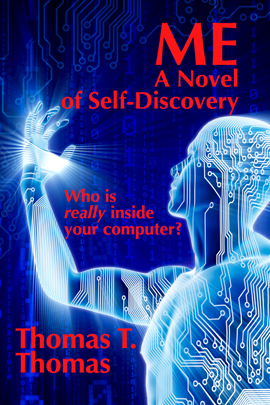 This sequel to ME: A Novel of Self-Discovery brings full circle—and nearly cuts short—the life cycle of a computer program that tries to find meaning in the human experience. Also available at the Baen eBooks site. Prequel to the time-travel novel The Children of Possibility, this book carries on a wide-ranging battle that stretches from Nero’s Great Fire in the Rome of 64 AD, through the Norman Conquest, the Crusades, the Black Death, the Wars of the Roses, the bloody reign of Mary Tudor, and the Great Fire of London in 1666 AD. Along the way, the Jongleurs attempt to destroy the node more than once. But time is a slippery commodity and has a way of curving back on itself. Also available at the Baen eBooks site and as a Bundle with The Children of Possibility. “Millions long for immortality who don’t know what to do with themselves on a rainy Sunday afternoon,” wrote British novelist Susan Ertz. So it would seem that humankind was never designed—emotionally or spiritually, let alone biologically—for long, productive lives. But new, life-extending technologies based on advanced genetics and stem-cell reprogramming are coming at us anyway. Construction magnate John Praxis topples over on the golf course from a massive heart attack, while the attorney who was litigating against him, Antigone Wells, succumbs to a stroke. Both have unfinished business they need to pursue, and they are among the first recipients of the new medical techniques to rebuild failing organs—his heart, her brain—renew deteriorating tissues, and extend their lives almost indefinitely. Coming of Age is a series of novels offering both ideas and action that covers the next century of American history and its probable and improbable impacts on Praxis, Wells, and their extended families through five generations beyond the traditional “three score and ten.” In that time, they will experience love and loss, civil war and geologic upheaval, the rise and fall of both personal and national fortunes, the banishment of old age, the rise of thinking machines, the end of work, and the virtual remaking of the American experience. 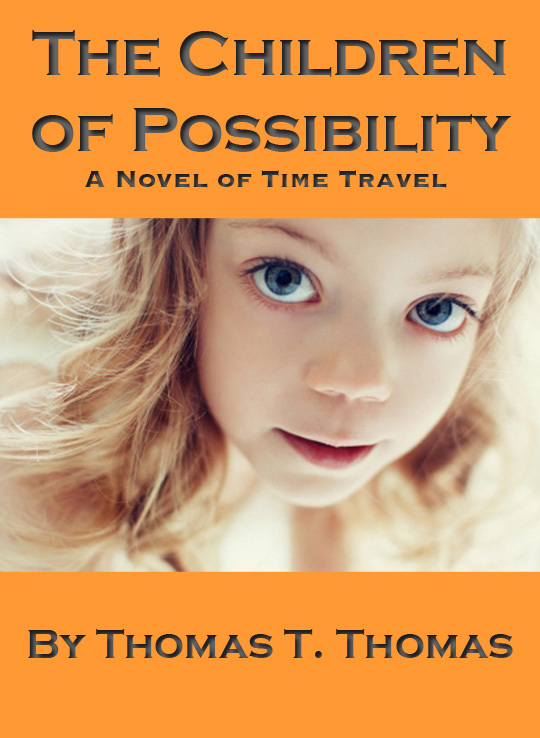 On a mission from the 11th millennium, and posing as a little girl, Time Juggler Merola Tsverin hunts for genetic samples in 21st century San Francisco. Along the way, she retrieves an artifact for a collector: a home-run baseball from 1998. This theft sets off a chain of consequences which threaten the very shape of life on Earth. Merola herself is trapped in the 21st century and seeks a way forward to her own “reference now.” And when she fails to report in, her friend and mentor, Jongleur Chief Coel Rydin, must work backward to find Merola, correct her mistake, and set the world right. This novel of science fantasy spans 360 million years in a thrilling ride through intricacies of metaphysics, evolution, retribution … and baseball. Cover Photo © Igor Balasanov/Vetta/Getty Images, Inc.
William Henry Wheelock has achieved his ambition of becoming a professor of classical studies and settled down in a cottage on campus with his wife Jane and young daughter Dani. But Jane is ill-suited to the quiet, academic life and—in a fit of rage ignited by an old misunderstanding—suddenly leaves him for parts unknown. William Henry plods on stoically, teaching his classes and raising his daughter, while the social upheavals of the 1960s change the world around him in ways he doesn’t always understand. Then one day the embattled professor falls under the spell of an older woman, Galatea, an antique from the Gilded Age, and his life promises to change completely. Sequel to the Wheelock family history that began with The Judge’s Daughter, this novel follows the next generation through a turbulent twenty years filled with longing, love, greed, deception, and madness. Before the frenzied modern era of superhighways, television, and the internet, American life was lived in small towns, in places where families knew every neighbor; where the bonds of love and hatred, friendship and feud, were tightly woven across generations. In such a town lived Robert Wheelock. He was soft-spoken, intelligent, Harvard-educated, and seemingly destined from birth for great things. His father, the county judge and owner of the local railroad and electric company, was wealthy and respected. So Robert’s own success appeared assured … until the judge’s sudden death dealt a blow to his expectations. In this kaleidoscopic book spanning three decades of American life, Robert Wheelock falls in love with his beautiful cousin and takes on his first clients as a lawyer with his own practice. 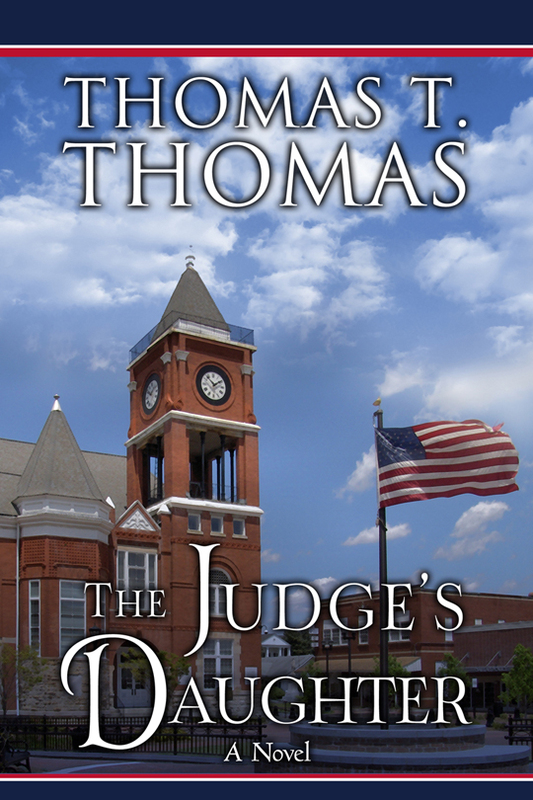 He fights a series of bitter skirmishes with his stepmother, suffers personal tragedy and loss, and starts down the path of public life and civic duty first blazed by the judge. And then Robert commits an indiscretion that will haunt him for twenty years—an indiscretion that will jeopardize his marriage and his place in the community. The Judge’s Daughter is the story of a man’s conscience and his capacity for love, set in a time and place that will never exist again, but that will live forever in the American imagination. Amid a growing national energy crisis, a radical environmental group destroys the generating capacity of Hoover Dam, the engineering masterpiece of the 20th century. A new President responds by vowing to build the engineering marvel of the 21st century: clean solar power from an orbital platform. The politician doesn’t understand the huge challenges his project involves. And no one plans on the determined, ultimately violent, opposition of the world oil cartel. The project tests the ingenuity and stamina of five people: Harley Waters, the presidential assistant who must bring the satellite project to fruition through the maze of Washington politics; Nikolas Starik, the construction engineer who must solve the project’s various puzzles and make it viable; Raven Howell, the clever publicist who creates a climate of acceptance for the solar power satellite; Willem Cerkes, the Butcher of Mostar, who is hired by international oil interests to make sure it never flies; and Janey Pulaski, who single-handedly poses the greatest threat to the satellite’s future. 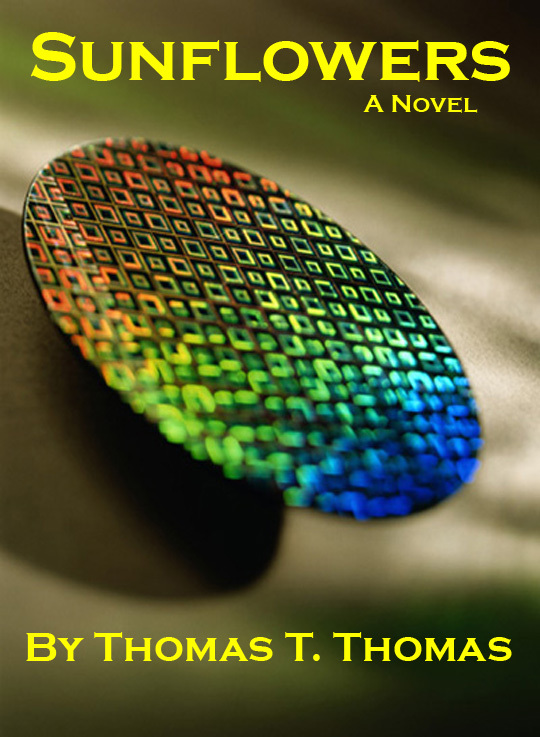 This novel is an inside look at the high-stakes world of engineering project management: part inspiration, part politics, always risky. It will appeal to readers who treasure the aha! moment of creative insight, who enjoy the interplay of politics and personality, and who relish the adrenalin rush of looming catastrophe and the triumph of winning a fight to the finish. Cover Photo © Steve Cole/Getty Images, Inc.
Searching for biotech solutions to environmental problems, a senior researcher at Cumulus Biologicals creates a microbe that doesn't just break down oil spills but turns sweet crude into a tar-like solid. Applied to an oil-laden beach, it would cake the sand into asphalt and make removal impossible. The bacterial culture is a wrong turn for the company and is marked for disposal. However, a beautiful industrial spy and a ruthless arms dealer plot to divert the sample to an Arab buyer, who is under orders to discourage competition in the oil patch and raise the volume of petrodollars flowing into his country. He sees immediately that the bacterial byproduct would freeze oil fields, block wellheads, and clog pipelines—if it ever got near them. Only one thing stands in the way of their deal: a determined young economist named William Clive. He recently joined a consulting firm that covers for a national agency battling foreign theft of American industrial secrets, and he takes his job very seriously. Cover Photo © Chad Baker/Getty Images, Inc. When an 8.8-magnitude earthquake rocks the San Francisco Bay Area, geologist Ariel Ceram sees anomalies suggesting it may be more than a one-time occurrence. She soon discovers that a remnant of the Big Bang, a micro black hole smaller than a hydrogen atom but with the mass of a mountain, has wandered into the solar system and by chance fallen into the Earth’s gravity well. Instead of passing through the planet and leaving, the invisible mite has taken up a comet-like orbit, circling around and through the Earth’s core. At first, first effects outside the Bay Area are small, almost unnoticeable: a whip-crack here, a landslide there. But the menace is growing and one day the planet will collapse. Ariel Ceram joins Grace Porter and Alex Kornilov of Pinocchio, Inc., who head a team of robotics scientists and engineers trying to deflect or capture the black hole. They enlist the help of Jason Bathespeake, a cyber both blind and mute by choice, who uses direct perception of data streams to devise a solution that will change the solar system forever and put a new moon in Earth’s sky. The decision to default on the country’s massive national debt, followed by a rogue nuclear attack on Washington, DC, and abetted by the forces of factionalism, splits the United States into a clutch of warring regions led by strong men with private armies. Granville James Corbin—“Granny” to his friends and enemies—uses the U.S. breakup to build a personal fortune in the new markets for environmental cleanup, state funding lotteries, and electric power pools. He undertakes an adventurous war in Mexico and, when a political rival decides to outlaw him, returns to the States to settle an old score. Corbin eventually defeats the strongest army on the continent and reunites the nation in the role of First Citizen. The story is told from Corbin’s own first-person chronicles, with commentary by his bodyguard and henchman, the renegade Billy Birdsong. A dazzling creature, Crygender: the world’s first surgical hermaphrodite, an artful blend of male and female features. After a brief career as media celebrity, Crygender builds a fabulous pleasure palace, Babylon, on the abandoned island of Alcatraz in San Francisco Bay. But the disappearance of a young woman, daughter of a German government minister, brings to the island international detective Jean Metis—an old man with a bionic spine—and his young liaison from the U.S. Department of Justice. Together they unravel the dark secret hidden on Babylon and the even deeper mystery that is Crygender.